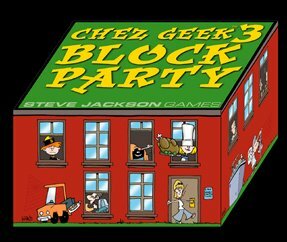 Chez Geek is back! This new supplement - illustrated, of course, by John Kovalic - includes 55 more cards. More people, more crummy jobs, more pets, more food, weed, and nookie!